Fyber wants to make mobile ad monetization as streamlined as possible. This is why we’re proud to introduce our new mediation bundles for the integration of your mediated ad networks. 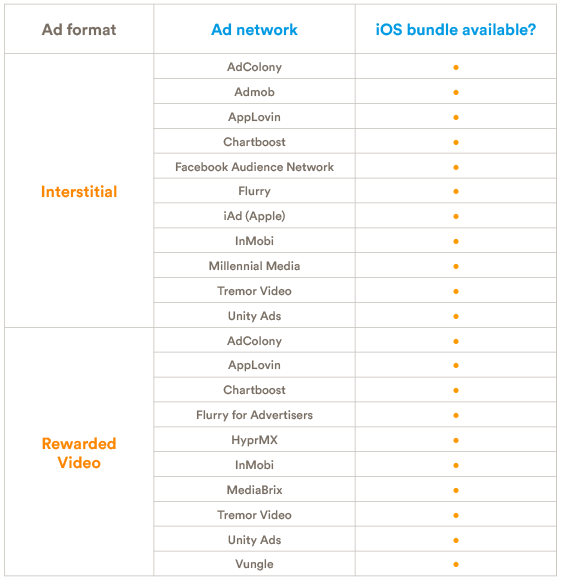 Bundles are currently available for all mediated ad networks on iOS – Android is coming soon! The mediation bundles will simplify the way you integrate and update your mediated ad networks. 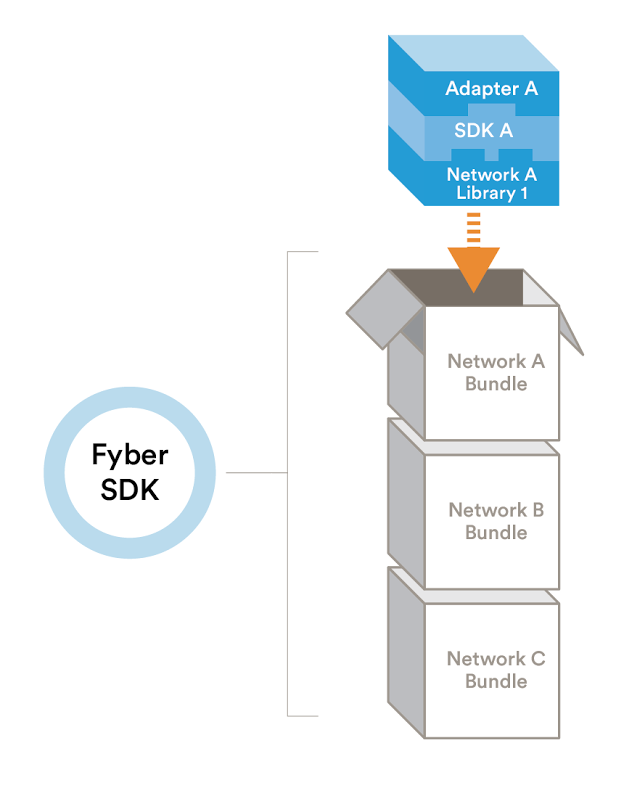 Each bundle includes all the components you need for integration, including the adapter, the mediated network SDK, and its associated libraries. Simply download the bundles you want, connect them to your app, and watch your revenue grow. Streamlined, one-stop-shop for integrations: Bundles provide automatic access to the right SDK and adapter versions in one place, eliminating the chance of version mismatch. Certified to work: All bundles are diligently tested and certified by our large internal team of mobile ad mediation and QA engineers. We’re dedicated to working closely with our mediated partners and committing resources to ensure that our ad mediation product sets the bar for quality and reliability. Flexible and customized: Bundles are unique because they’re designed to be fully customizable: Download and integrate bundles for only the ad networks you want to work with. This helps avoid unnecessary files that weigh down your app. How does this affect me as a developer? Your engineers will love the new streamlined integration process. To help you understand how mobile ad mediation bundles will change and improve the way you handle ad network mediation integration and updates, we’ve prepared an FAQ for you and your team. If you’re ready to get started, follow the download links below. For any additional questions, please contact your account manager.